BRAND NEW! We are fired up to bring you these six-pocket pants. They are styled in the classic BDU tradition, and feature drawstring leg cuffs, a fuller cut in the stride, sturdy belt loops and adjustable waist slides for more comfort. They have 2 front pockets, 2 back pockets, and 2 button-flapped cargo pockets on the legs. 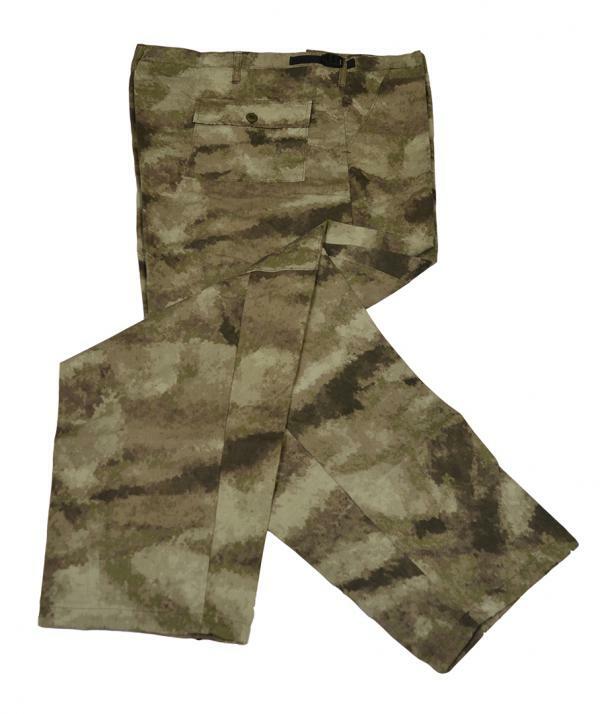 Ripstop fabric makes these pants just as durable as they are deadly!